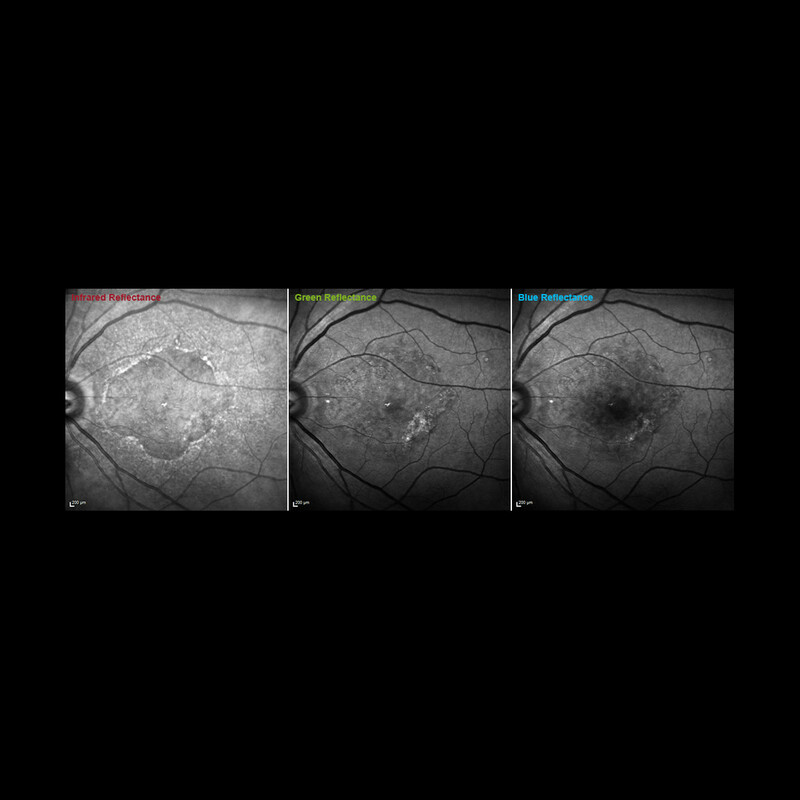 The SPECTRALIS® MultiColor Module uses three laser wavelengths simultaneously to provide diagnostic images that show distinct structures at different depths within the retina. 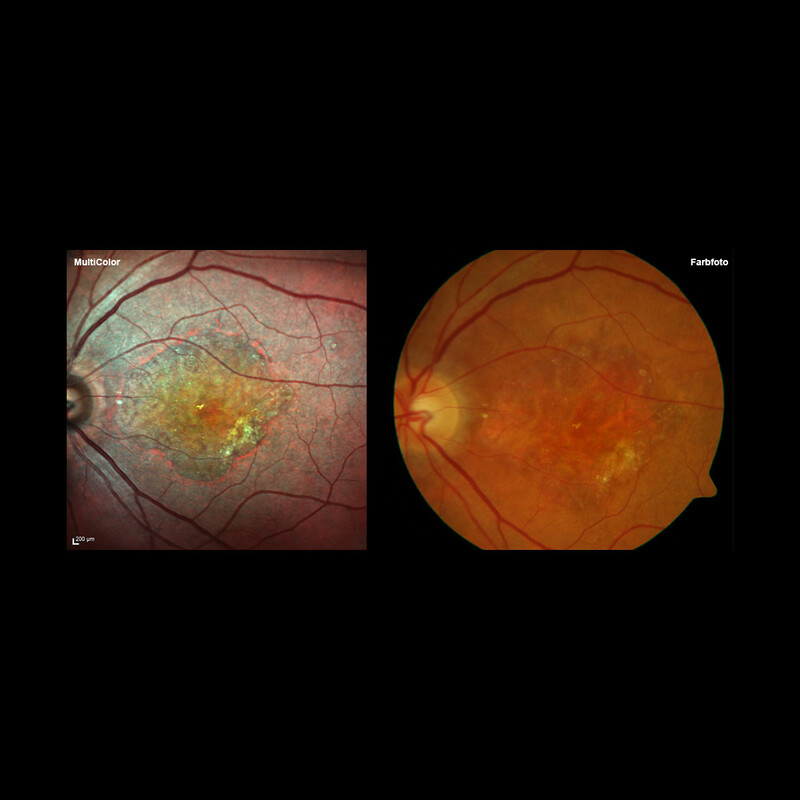 The high-resolution, detailed MultiColor images can highlight structures and pathologies not visible on ophthalmoscopy and fundus photography. 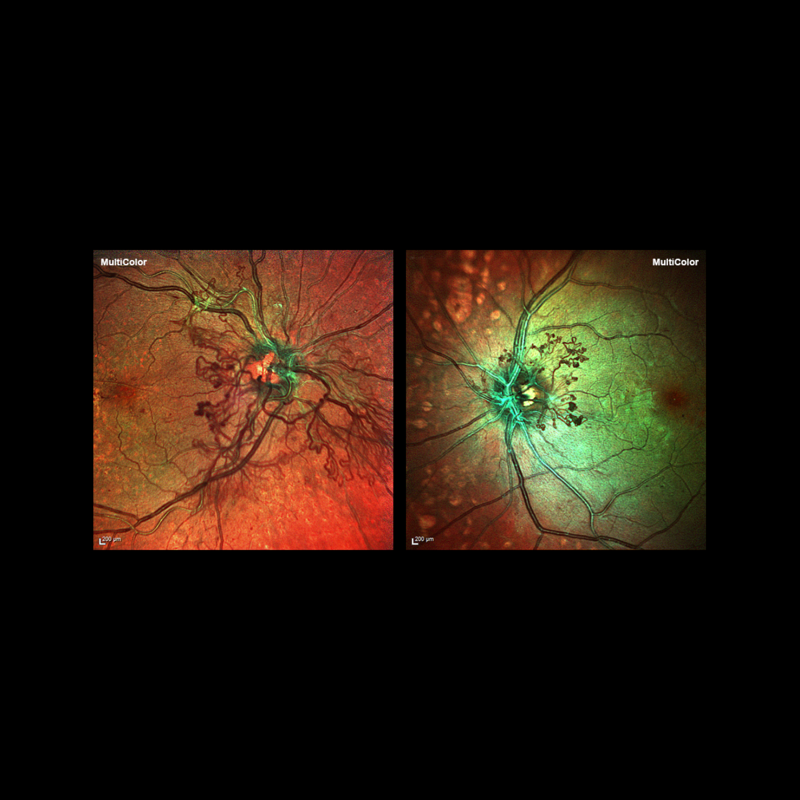 MultiColor images may even be acquired in patients with cataracts or nystagmus. 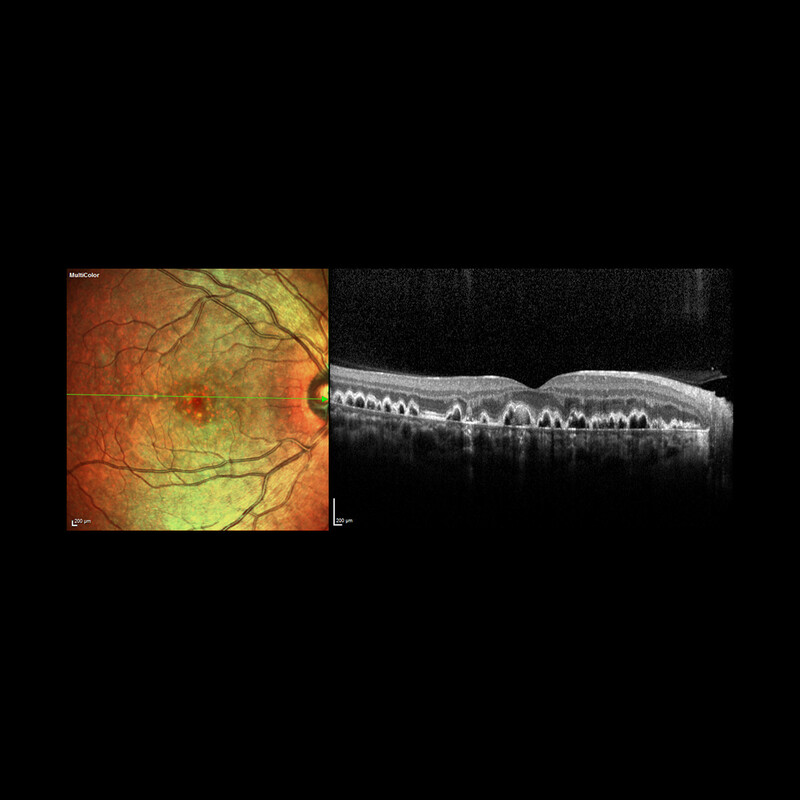 Available only on the SPECTRALIS platform, the combination of MultiColor with OCT brings a new dimension of detail and versatility to ophthalmic imaging. 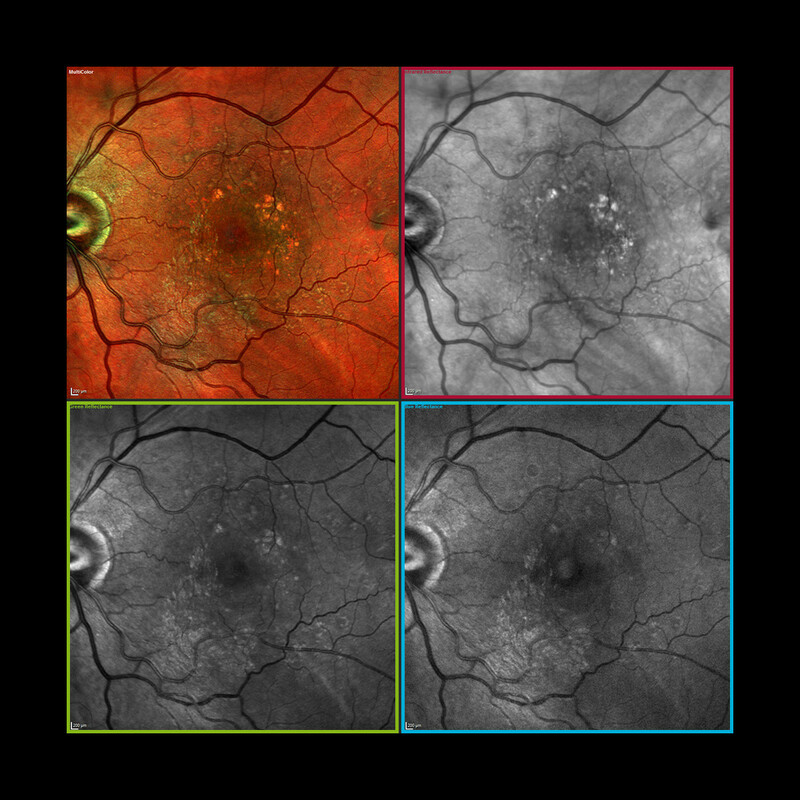 MultiColor images of patients with diabetes. 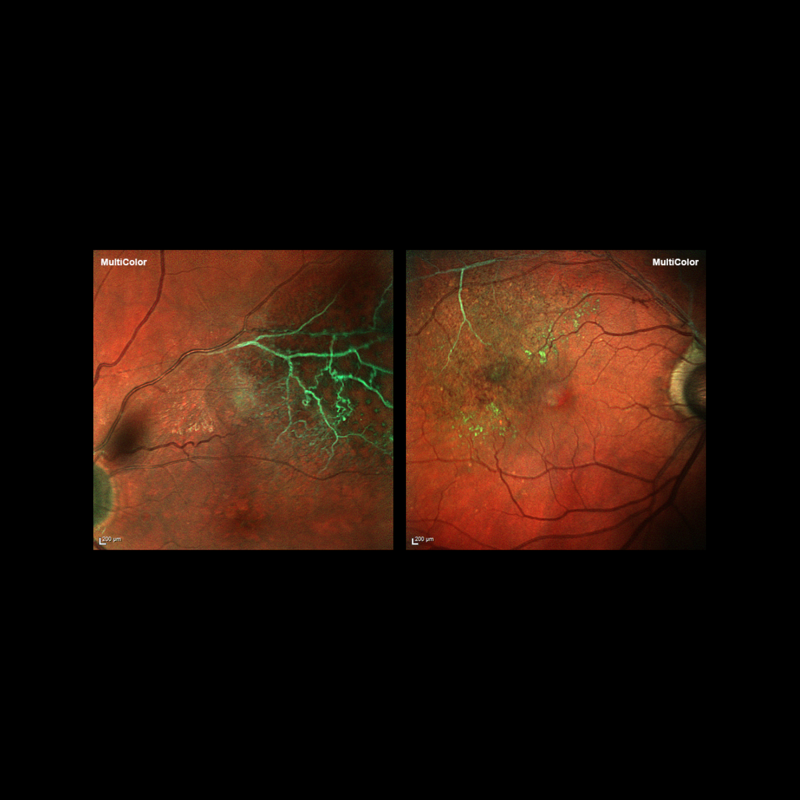 The high contrast of MultiColor images makes it easy to identify structures like neovascularizations. 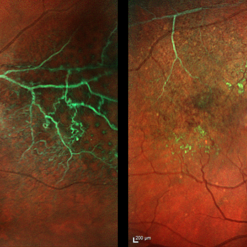 MultiColor images of patients with retinal vein occlusions. 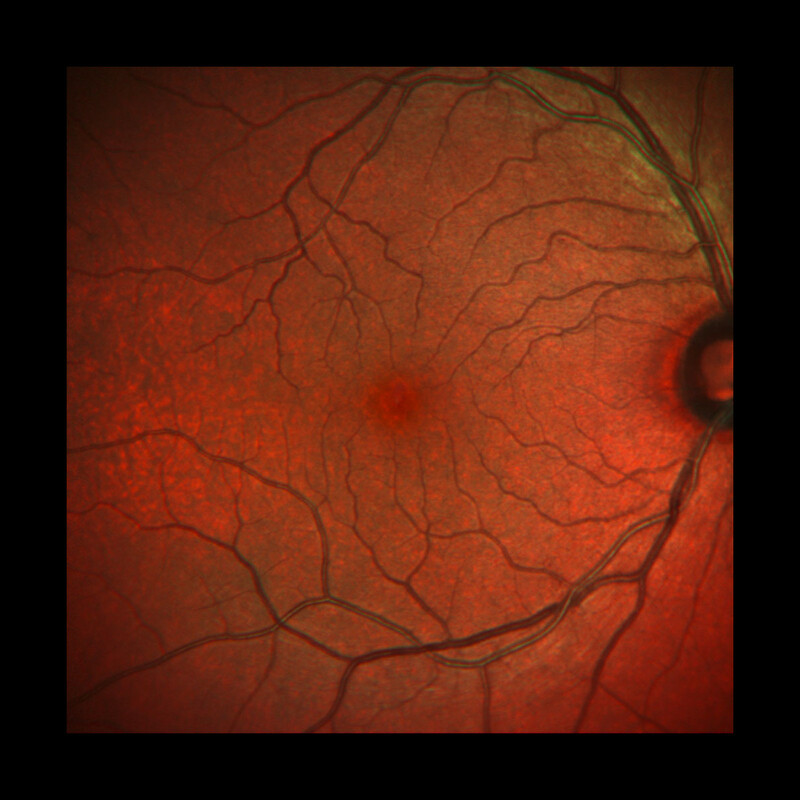 The occluded veins clearly stand out in the MultiColor image. 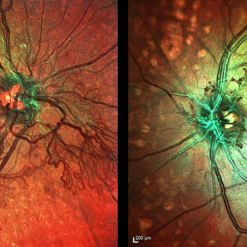 MultiColor image and color fundus photography of a patient with drusen. 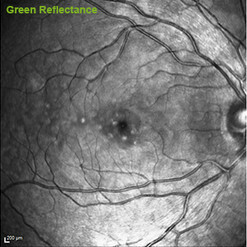 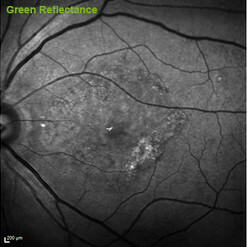 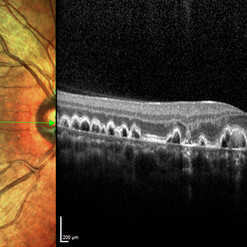 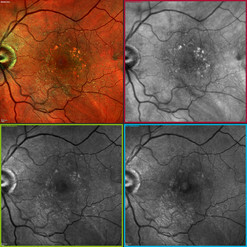 The three selective reflectance images of the patient with drusen. 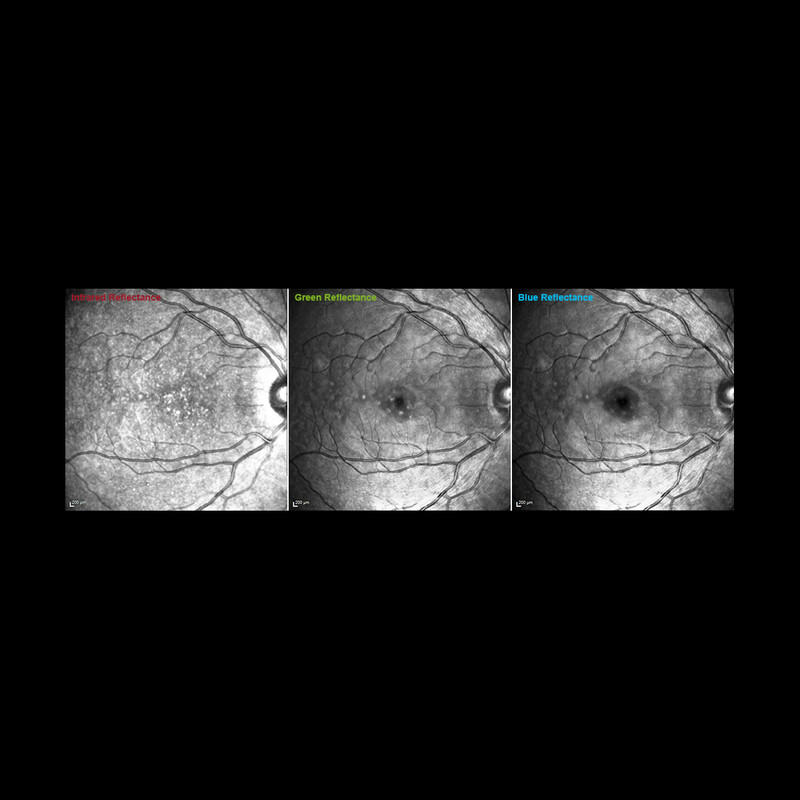 The Active Eye Tracker makes it possible to exactly position the simultaneously acquired OCT scan on the MultiColor image. 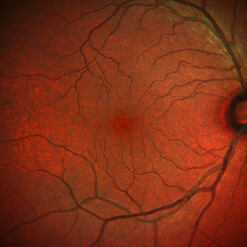 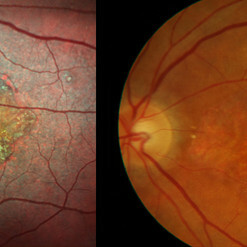 MultiColor image and color fundus photography of a patient with geographic atrophy. 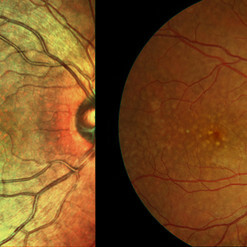 The border of the atrophic area is clearly demarcated in the MultiColor image. 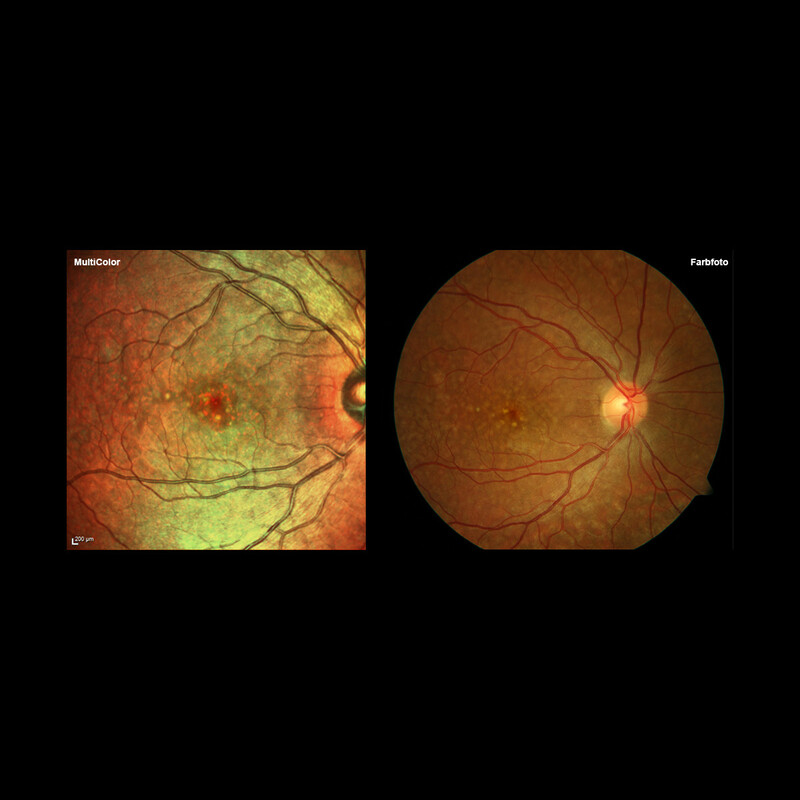 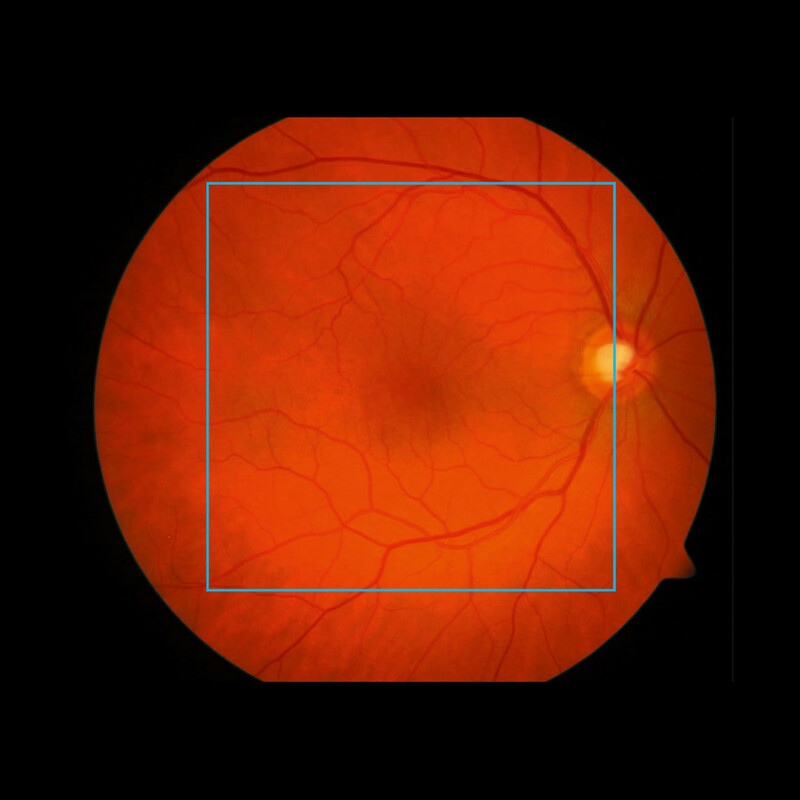 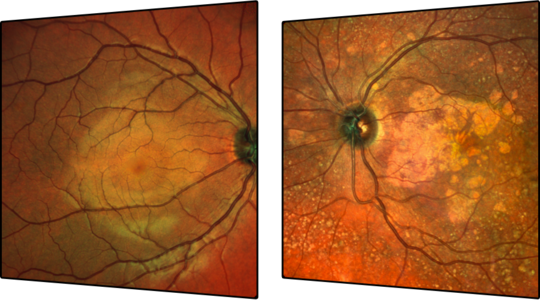 The three reflectance images of the patient with geographic atrophy display selectively structures in different layers of the retina.